In May 1964 the US Air Force designed a competition, inviting different manufacturers to partake in designing a new heavy logistics transport aircraft. Boeing, Douglas and Lockheed were awarded design development contracts and Lockheed was declared winner of the competition on 30 September 1965. Although disappointed, Boeing used the military contract as a sound stepping stone to a civil variant, an idea then already in the background of a small design team's thoughts already working on the details of a civil transporter identified form the outset as the Boeing Model 747. In 1966, initial designs were finished and the most staggering feature of the aircraft was the size of the fuselage. The cabin was 20ft 1.5 in (6.13 m) wide and 185 ft (56.39 m) long. Nine-abreast seating with two aisles, providing accommodation for 352 middle-class passengers, dispelled any hints of the claustrophobia-inducing interiors of many earlier airliners. First-class passengers could book the 16-seat upper deck lounge. With this design, Boeing started to seek for prospective customers, considering Pan American to be the most likely first buyer. With a price tag of more than $16.8 million in 1966, Pan American placed an order of no fewer than 25 of these giant aircraft, and after additional orders were received from Japan Air Lines and Lufthansa, Boeing started production of the 'jumbo jet' on 25 July 1966. The original production aircraft was rolled out on 30 September at Paine Field, Everett, where Boeing had established a new factory to house the Model 747 production line. The first flight was completed successfully on 9 February 1969. Pan American inaugurated its first service with the type on 22 January 1970, introducing it on the New York-London route. By this time Boeing had accumulated some 190 orders from 28 countries for the new liner. In mid-1881 the number of orders rocketed to 575. Later variants were developed, including the Model 747-100B, Model 747-200B, Model 747-200F Freighter, the Boeing E-4 Advanced Airborne Command Post and the Boeing 747-123 Space Shuttle Carrier among others. All flight controls are powered and an advanced automatic flight control system eases pilot's workload during long periods of cruising flight. It also allows automatic landings possible under suitable conditions. Excellent flight deck equipment makes it possible for a small flight crew of three pilots or two pilots and a flight engineer to handle the large airliner without difficulty. 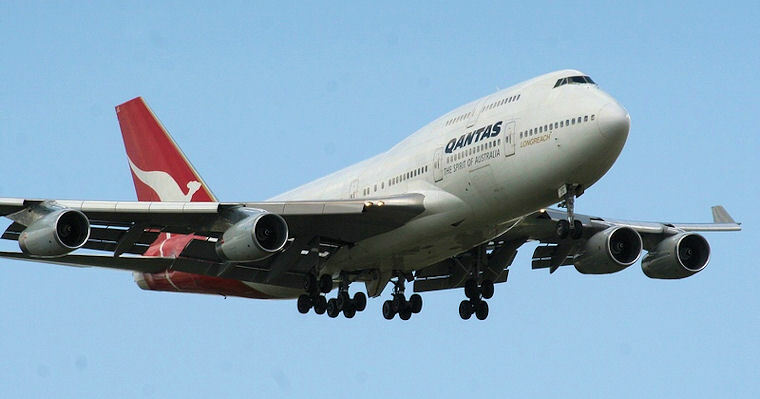 The Boeing 747 soon became a favourite under air traffic controllers, for one flight could replace from five to ten services by smaller aircraft. Airport operators on the other hand were unused to the arrival of 500 passengers at once and passenger handling facilities were completely swamped when two or more Boeing 747 arrived almost simultaneously. Since then, airports have become accustomed to handling the new wide-bodied jets with today carry such a major portion of the world's air travellers. Known for its remarkable safety record, the Boeing Model 747 has become the most famous of all passenger carriers. 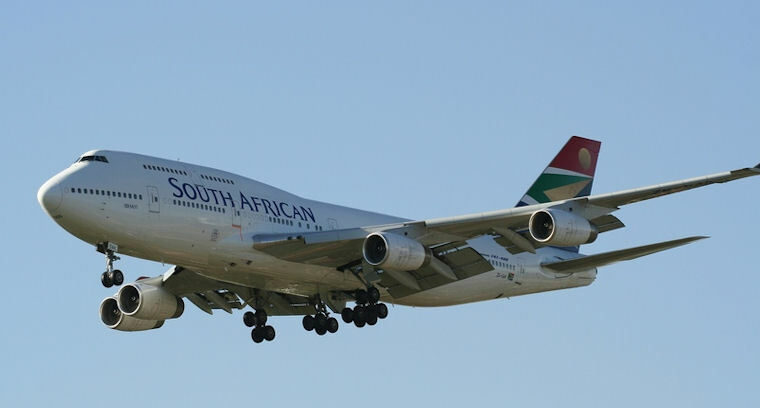 The first Boeing 747, the Lebombo (ZS-SAN) touched down in South Africa on 22 October 1971 at Jan Smuts International Airport. The same aircraft was retired at its final resting place at the SAA museum near Rand Airport in Germiston on 5 March 2004.